I’ve just finished reading one of the most beautiful books I’ve read in recent years, The Shepherd’s Life by James Rebanks. I’ve always loved the Lake District since friends of mine who lived in Carlisle took me walking up a fell there. I guess I was one of those walkers, and later fell runners, who connected deeply with those amazing mountains without understanding much about those that live and work those landscapes. Like most fans of the “Wainwrights”, I love chasing to the tops and the romance of being in the mountains without knowing much about the lives of those that have lived there for thousands of years, passing their way of life and the bloodlines of their sheep from generation to generation. 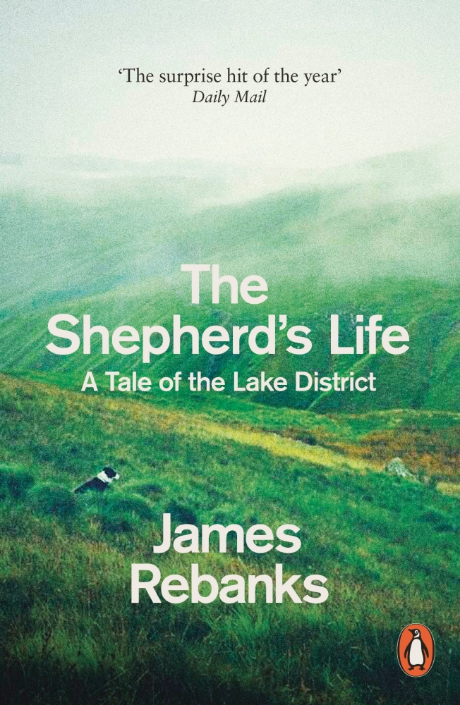 In his book, James Rebanks has opened my eyes to the rugged and enduring lives of the farmers and shepherds who are the real heart of the Lakeland fells. James tells the story of his family in an honest and hauntingly beautiful way that echoes the timeless seasons and the rhythm they impose on the life of their farm and family. Even if you have no emotional connection to the lakes, you will have one by the time you finish this book, for those that do feel that connection to those familiar place names, they will gain a deeper meaning.